Following Dave Chappelle's first Juke Joint last April in Ohio this weekend, Friday 10th and Saturday 11th July from 10pm, Chappelle will bring an intimate Juke Joint to Loft Studios, London. With members of Stevie Wonder’s touring band, world renowned harp player Frederic Yonnet and legendary Hip Hop DJ D-Nice in celebration of his seven night residency at the Eventim Apollo. 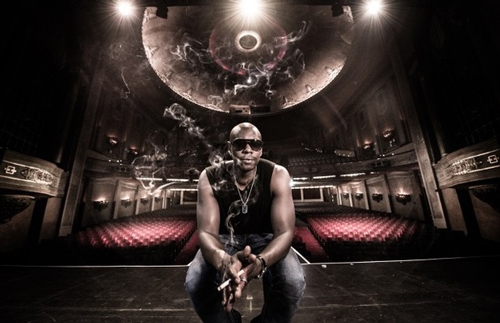 The night will include a trip into Dave Chappelle's personal playlist ranging from Coltrane to Nirvana, along with live music from The Band With No Name who will battle DJ D-Nice into the small hours. Expect a mix of jazz, fusion, sprinkles of R&B, jokes and even crowd surfing! Tickets are on sale now from livenation.co.uk, there will be a few tickets on the door but I'm informed that they will set out quick.